Alan Weiss was born in New York City. Hailed as “one of the outstanding pianists of his generation” by legendary Czech pianist Rudolf Firkušný, he is “a poet” in the words of Brussels’ Le Soir, whose playing, as was noted by The Daily Telegraph of London, “penetrates to the very core of the music”. “[He projected] a sense of line resembling in many respects the orchestral wizardry of Furtwängler”, wrote Spectator Online. Mr. Weiss is indeed a throwback to an earlier age of free-thinking performing musicians. His background is unusually varied, having begun his studies on the classical guitar, receiving advice and encouragement, from the age of ten, of Andrés Segovia. The genius of Maestro Segovia left its indelible mark on his musical character and artistic development. Piano studies followed with, among others, Adlah Grossman, Sylvia Rabinof and Daniel Abrams, whose extraordinary inspiration led Alan to recognize his growing love for the piano and its repertoire, focusing solely on this instrument from the age of twelve. David Saperton, the illustrious teacher of Cherkassky, Katchen and Bolet; son-in-law of Godowsky and assistant at Curtis to the legendary Josef Hofmann, served at a crucial point in Alan’s pianistic development. Under the guidance of Firkusny’s deep musicianship he earned a Doctor of Musical Arts degree from the Juilliard School. In 1974 Mr. Weiss was invited by Rudolf Serkin to participate in his Marlboro Music Festival. The following year he was a winner of the Naumburg Piano Competition in Carnegie Hall. In 1978 he was awarded a silver-medal in the Queen Elisabeth of Belgium International Competition, effectively marking the beginning of his international career. He then established residence in Belgium and has since played numerous recitals and concerts in his native United States, England, continental Europe, South America, and the Middle and Far East. Chamber music concerts have included performances with such great musicians as Rudolf Firkušný, Martha Argerich, Mischa Maisky, Ivry Gitlis, Pina Carmirelli, Dora Schwartzberg and Alissa Margulis, among others. His recordings of solo and chamber music have appeared on the Pavane, Vox, Phonic, D.G. and Sony labels, and a cd of solo piano music by Alkan for Fidelio was greeted as one of the great recordings of that composer. New recordings of solo music by Alkan and Brahms have recently appeared on the Brilliant label. Among the features of an Alan Weiss piano recital are his transcriptions of classical guitar or lute compositions, an affectionate look back at his guitar-playing youth, when he was much inspired by Maestro Segovia. 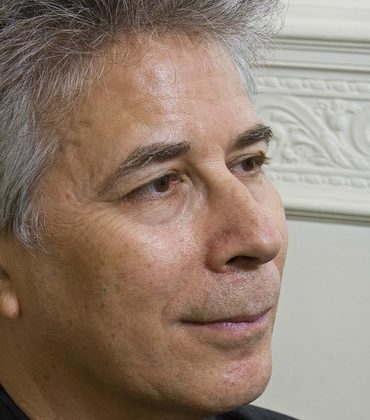 Mr. Weiss is piano professor at The Lemmens Institute in Leuven, Belgium, and Utrecht Conservatory, Holland; he received the title “professeur extraordinaire à la Chapelle Musicale Reine Elisabeth” in Belgium. Among his former students who have active, often brilliant, performing careers are Sergio Tiempo, Akane Sakai, Edna Stern, Eliane Reyes, Gerda Struhal, Akiko Sakuma, Ernst Munneke, Lily Maisky and Tom Beghin (fortepianist). He is a regular guest artist at the Aruba Piano Festival of Armand Simon (another fine former student) and guest professor at Sebastian Colombo’s master-class series in Barcelona, the ‘Centro de Estudios Pianisticos’. In recent years, Mr. Weiss has been invited by Ms. Argerich to participate in her festivals in Beppu (Japan), Buenos Aires and Lugano, giving performances and masterclasses that have generated real excitement along with critical praise.